You are on vacation in Bali, besides you want to enjoy the charm of nature, you also want to get other facilities such as WiFi, easy transportation, and so on. This is not surprising, because WiFi is currently growing rapidly, wherever you are in a hotel, in a park, an entertainment center, you will definitely want to have a free internet access. Therefore, it can make you easier to access all information through social media, download photos, data and so on. Because the world today has become a modern era full of internet sophistication, plus here are the additional information about the things you must not do in Bali Indonesia. This hotel is located on Jl. Karang Mas Sejahtera, Jimbaran, Kuta Sel., Badung Regency, Bali. It offers exclusive and charming five-star hotel facilities. In addition, the food menu in this hotel is famous for its modern and super delicious delicacies. Other facilities such as swimming pools, children’s playgrounds, beautiful natural scenery, and also no less important is free WiFi. You can have a memorable vacation here while enjoying all the most complete facilities. Make sure you list must buy items when you visit Bali. Another place that offers free wifi in Bali is the Grand Hyatt Bali hotel. You who love the scenery and want to take a vacation on a clear stretch of white sand and shady beach water, then it’s right if you choose this hotel. Amazing five-star class hotel, sure you feel like at home and satisfied. Because not only about the service is good but also the scenery, the building, and facilities like free wifi are too. The location of the hotel is in the Nusa Dua Tourism Area, Nusa Dua, Benoa, South Kuta, Badung Regency, Bali. Talking about Bali, it probably will never be enough, there are many beautiful places that are also fun. 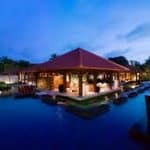 Well, one of them is The Laguna Nusa Dua Bali, a beautiful resort on a stunning seaside. Suitable for those of you who want to take vacation while having a relaxing honeymoon or gathering with family. Five-star class hotel with super-complete facilities and luxury. You will feel the sensation of an unforgettable stay in this place, located in Nusa Dua Lot Tourism Area N2, Nusa Dua. In addition, the location is also close to beach tourism, namely Nusa Dua and so on. The best snorkeling in Bali Indonesia the exclusive locations you should visit. You can find cool, seaside views on Seminyak Beach Resort and Spa, Bali. A resort with the concept of luxury accommodation is also exotic, not only is the place beautiful and the hotel facilities are complete. Various facilities can be found such as swimming pools, spas, sports, famous restaurants, wifi and so on. Hotels that can be used as lodging, as well as an amazing beach resort. Located at Jl. Kayu Aya, Seminyak Beach, Kuta, Seminyak, Kuta, Badung Regency, Bali. You who like to hang out or just relax chatting, and enjoy the beauty around Bali. Then you can try one of the menus available at Starbucks Kuta. In this place, it is not only fun to hang out, but you can also spend hours enjoying the menu offered at an affordable prices. One of the facilities that many visitors are interested in is free WiFi, located in the Shopping Arcade Area Hotel Mercure Lt. 1, Jl. Kuta Beach, Banjar Pande Mas, Kuta, Badung Regency, Bali. Read for the things to do in Bali for young adults. 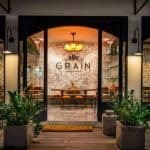 The place that offers free wifi in Bali that is contemporary and fun is Grain Espresso Seminyak. It is a place to enjoy coffee and French-style food with an atmosphere and a warm and relaxed atmosphere. The shape of a cozy building is also friendly, in this place you will feel at home for a long time, the surrounding scenery that you can use to upload on social media by using the wifi for free. The location is in Raya Seminyak No.16 B, Seminyak, Kuta, Badung Regency, Bali. A simple restaurant but fun to be used as a hangout with colleagues. In this place, there are many international menus from selected ingredients, also providing stores that you can see the products. The design and concept of a comfortable building room, also the main facilities, namely free wifi, you can use it for free. So you can be free to upload or play games all day in this place, the location is at SIMPANG SIUR SQUARE, Jl. Setiabudhi, Kuta, Badung Regency, Bali. The following are the things to do in Bali when it rains. 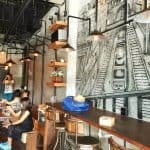 This is a unique café with a cool and comfortable atmosphere in Denpasar, Bali. This cafe is located in the Panjer – Renon area or rather located on Jalan Tukad Batanghari. This café comes with a simple concept but still looks elegant. The exterior design of the café is modern and has a large enough parking area making this café an attraction and attracts the attention of its visitors. As the name implies, this restaurant comes with a variety of typical Italian menus such as pasta, pizza, and various other western foods. Besides the delicious menu, this place also provides free wifi that you can use. The place that offers free wifi in Bali is the Ceret Cafe. If you are looking for a unique hangout in Denpasar with the concept of the past, Kedai Ceret is an interesting place to visit. This shop provides a variety of traditional and modern dishes typical of Solo. The location of this shop is at Tukad Yeh Aya Street number 119, Renon, South Denpasar. This shop is open from 11.00 – 23.00 WIB, even though the menu provided is Javanese, but this place is a favorite of many visitors because of free Wifi. For your references the things to do in Bali for singles. This cafe is indeed not too wide. 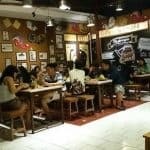 However, this cafe is one of the most convenient places to hang out in Denpasar. Located on street By Pass Ngurah Rai number 274. This cafe is known for its various delicious coffee menus and various foods that are ready to shake your tongue. This cafe comes with Rough Industrial-style interiors with acian cement finishing nuances and unique accessories. This place is often used as a working space for freelancers or bloggers because it offers a very fast and free internet connection. This cafe starts to open every day from 08.00 – 23.00 WIB. You should visit and try the menu and facilities there. 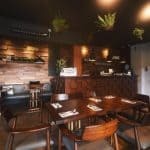 Homemade Bistro, a unique and different hangout when compared to restaurants in general. Because the home Bistro comes with a modern Pop Art interior concept and is decorated with a variety of beautiful colorful ornaments. Interestingly, Rumahan Bistro also provides cute items that you can buy to serve as decorations at home, also you can enjoy unlimited and free WiFi networks. Hence the things to do in Bali with a 4 years old. 9/11 Cafe & Concept Store, a cafe that does offer a comfortable place to hang out and meet friends or relatives. The cafe is located in a strategic location in the Teuku Umar Barat area more precisely on Jalan Teuku Umar Barat number 337 so it is quite easy to reach. The interior which is almost all wrapped in old wood and equipped with Scandinavian typical furniture, you can enjoy an okay food menu and free WiFi. Revayah Coffee Bali, you coffee lovers should try this place, this Coffee Shop offers a very comfortable place with an interior surrounded by glass and wood. Freakshakes menu is a popular choice as well as free wifi facilities that are the target of many visitors, the location is in Renon, Revayah Coffee is in the Gatot Subroto area. The best thing that you must do in Legian Bali. Jinjin Bali, a hangout in Denpasar this one is still in the Renon area and specifically provides various Japanese specialties. The mainstay of this place is the Donburi or Japanese Rice Bowl. You can also sample the Salmon Teriyaki menu and Gyu Tan Don Super City and free unlimited wifi facilities. So are some explanations and examples about the place that offers free wifi in Bali. Hopefully, this is the right choice when you are in Bali.